As an artist who photographs destination weddings, it is very important to me to remain an authentically artful photographer in a field of work that can easily become formulaic. As much as I believe the images should speak for themselves, I do welcome the opportunity to express my personal story and the vision that makes the Elizabeth Medina Photography studio unique. 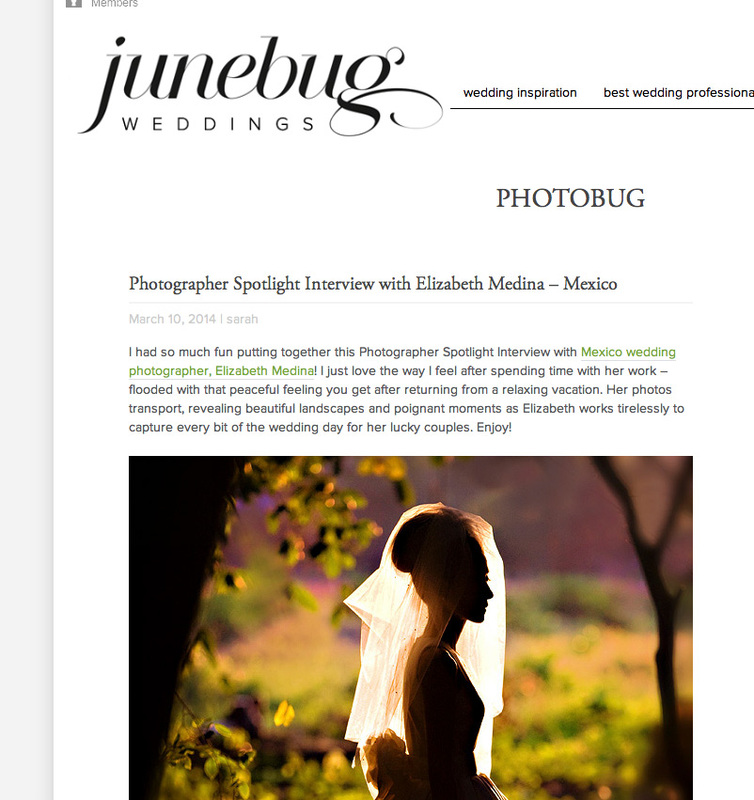 It was a delight to be interviewed by the always lovely Junebug weddings. I hope you will check out the interview!